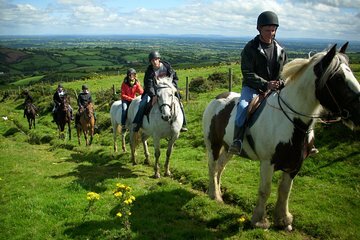 The green mountains and wildflower fields of Tipperary offer an idyllic backdrop for a horseback riding adventure. On this tour, choose from a range of different treks, such as a l-hour trek past Bronze Age ruins or a half-day ride with a pub lunch in Upperchurch village. Treks are tailored to your riding ability and accompanied by an experienced guide.